Before a ball was snapped at Super Bowl LIII, betting slips were being torn up. Prop bets are a massive source of income for bookmakers when the Super Bowl comes around each year; with fans betting on the coin toss, the number of songs during the half-time show and the costume choice of the half-time performer. One of the more popular prop bets tends to be the length of the national anthem and that inspired plenty of controversy at Atlanta's Mercedes-Benz Stadium on Sunday night. 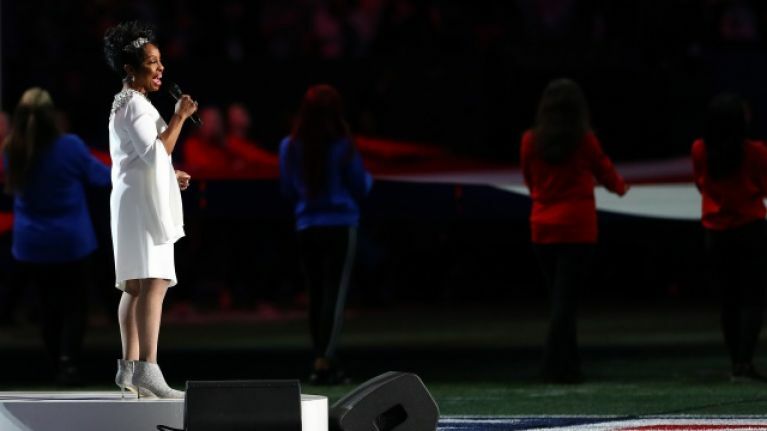 Soul legend Gladys Knight toyed with the emotions of those who took a punt on the under market of the Star-Spangled Banner as she doubled down on the "brave" part of the "land of the free and the home of the brave" bit. Knight stuck some vibrato on "brave" after 1 minute 40 seconds and then added a second "brave" for good measure, resulting in plenty of complaints from under bettors. Some fans stopped their own stopwatches after the first "brave", while others felt that the entire performance ought to be taken into account and bookmakers weren't too sure themselves of the length of the anthem. Bookies on this side of the Atlantic typically take the lead on all NFL matters from Las Vegas, where one sports book reportedly changed their stance on the over/under.